Our Board of Trustees is responsible for ensuring the charity is doing what it was set up to do and making decisions about how it is run and future developments. The Trustees meet regularly during the year to consider, determine and review Carers in Hertfordshire’s strategies, policies and performance. Our Trustees bring a depth and breadth of expertise to the charity as they have extensive backgrounds in finance, management, health and social care, and other professional roles. All Trustees support Carers in Hertfordshire in an unpaid voluntary capacity. We currently have six Trustees and you can find out about them below. After over 37 years in the pharmaceutical industry, initially as a Microbiologist and then in IT, Slava has recently semi-retired. 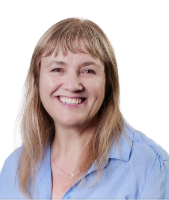 Whilst working in IT she held many roles starting as a programmer, moving into support and then IT management as a Director working closely with the scientists and senior managers to define strategic direction and to manage large change programmes. Slava has been involved in the voluntary sector since she was 17-years-old and was a school Governor for around 15 years, initially in a primary school and finally as Chair of Governors at a secondary school. She is currently a Lay Advisor for Hertfordshire MAPPA (Multi-Agency Public Protection Arrangements). Whilst Slava is not a carer herself she has some knowledge of caring through her daughter who was a care worker and is now doing a degree to become a paediatric nurse. Slava likes to keep herself busy with her many hobbies and enjoys learning new things. In addition to her qualifications in Applied Biology and IT and Management, she graduated from the Open University in 2013 with a BSc in Psychology and she continues to have a great interest in people and anything to do with psychology.The theatre has been a part of Slava’s life since she was five when she attended dance classes. She belongs to a local theatre group and performs regularly on stage, dancing, singing and acting. When not on stage she will be behind the scenes either choreographing, directing or producing. As well as performing on stage, Slava is a presenter on SG1 Radio. You can hear her Pick and Mix show on a Thursday evening. She is also a keen photographer and enjoys walking. Slava was elected as a full member of the Board at the 2016 AGM having been a co-opted member since April 2016. She serves on the General Purposes Sub-Committee of the Board and helps out on the ICT Leadership Group for Carers in Hertfordshire. Mike was a secondary school teacher for 36 years at the same school prior to retiring. He is married to an English teacher and has two sons. His eldest son has Aspergers and Mike supports, guides and monitors him on a constant basis. At work, he was a Head of Department for 28 years in History then Humanities and then PSCHEE (Personal, Social, Citizenship, Health and Enterprise Education). He served on the Senior Leadership Team creating and developing policy and practice in Recruitment and Appointments, Performance Management, Equal Opportunities and Healthy Schools programmes. He passed the course for aspiring Assistant Heads at Middlesex University. He was a Trade Union Representative for the last four years. He was elected as Teacher Governor four times (16 years). He was also on his sons’ school’s Governing Body as Chair of Curriculum and then Chair of Governors, in which time he was involved in appointing a Deputy Head and then a Head Teacher during his Chairmanship. He worked as a Teacher Mentor with Middlesex University to train and guide new teachers to the profession and as a mentor to Newly Qualified Teachers at school. In 2001, Mike’s mother began to show signs of dementia and he began to develop a more caring role in her life. This became a progressively bigger and more important part of his life as she declined. From distance support, she ended up living with Mike and his family and the skills and patience he had as a teacher and mentor became more and more valuable in the support for her and the dealings with the myriad of services she needed. When it became apparent that she would be better served in a care home, a search began and a suitable place was found. He then became involved in the support and development of care in the home, creating a Relatives Support Group and mentoring some of the Care Home Staff in their NVQs. He began to attend Forums run by Carers in Hertfordshire and soon volunteered for Stronger Voice, Carer Trainer and Carer Mentor roles. 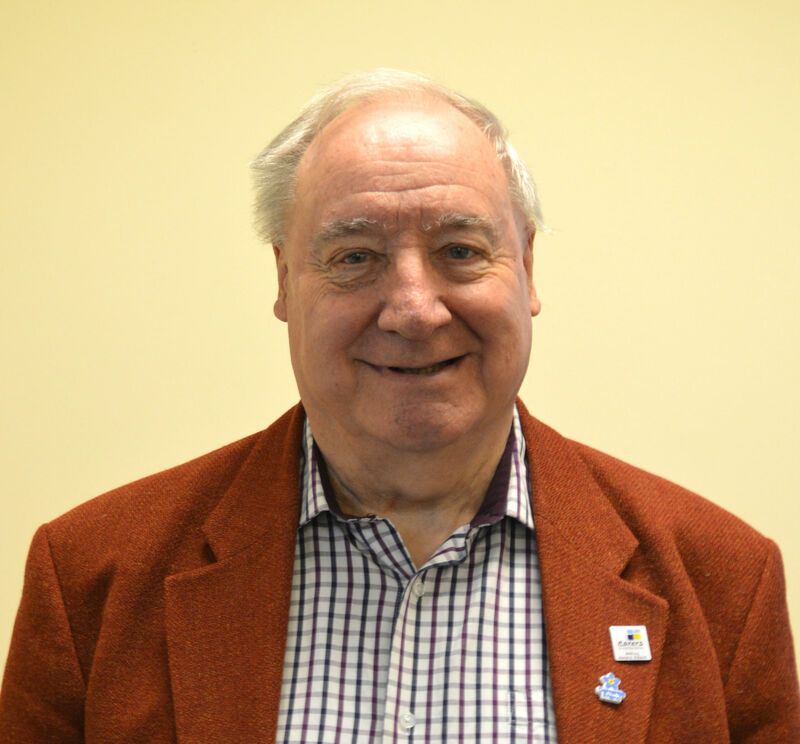 As a Carer Representative he attends the National Strategy for Dementia Implementation Steering Group and the Carers Planning and Performance Group for Hertfordshire County Council, as well as the Carer Forums for Dementia and C4A and support groups (e.g. Carers Reference Group). As a Carer Trainer he is kept busy delivering talks and he has mentored several carers. Mike has been a full member of the Board of Directors since September 2013. He became Vice Chair in September 2014 and served as Chair of the Board between September 2015 and September 2018. 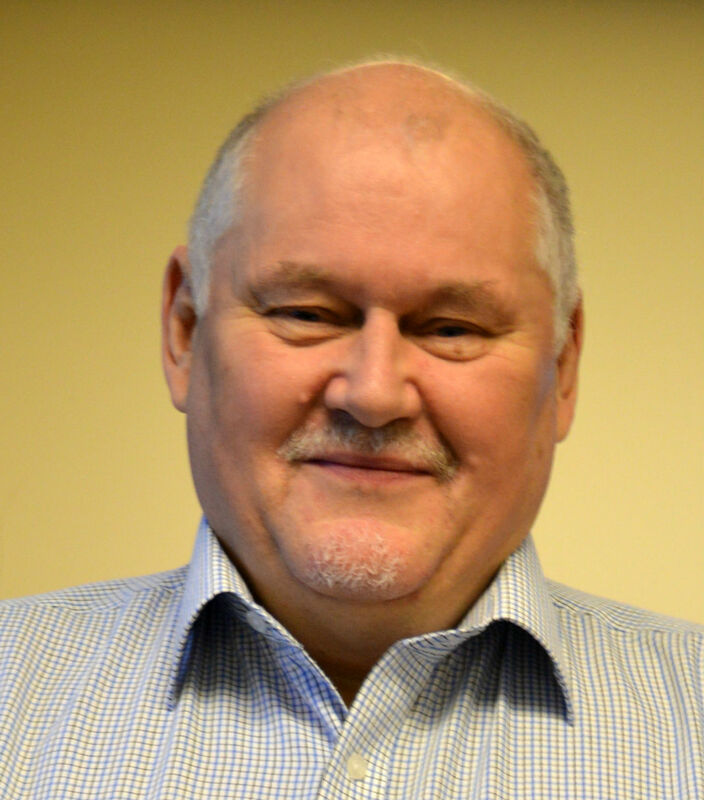 Mike is a member of the General Purposes, Finance and Strategy and Services Sub-Committees of the Board and helps out on the Quality Assurance Working Group and ICT Leadership Group for Carers in Hertfordshire. Over a 25-year period Andrew held various positions within (and as a service provider to) the pharmaceutical industry. His main working experience included marketing research, product management and business development in Europe. In 1995, he took voluntary separation from a major corporation in order to start several businesses, including a consultancy practice in marketing and survey research. During 2005, Andrew became the principal and often full-time carer to his wife, following her experiencing profound physical, sensory and cognitive disability, resulting from brain pathology and a series of surgical interventions. 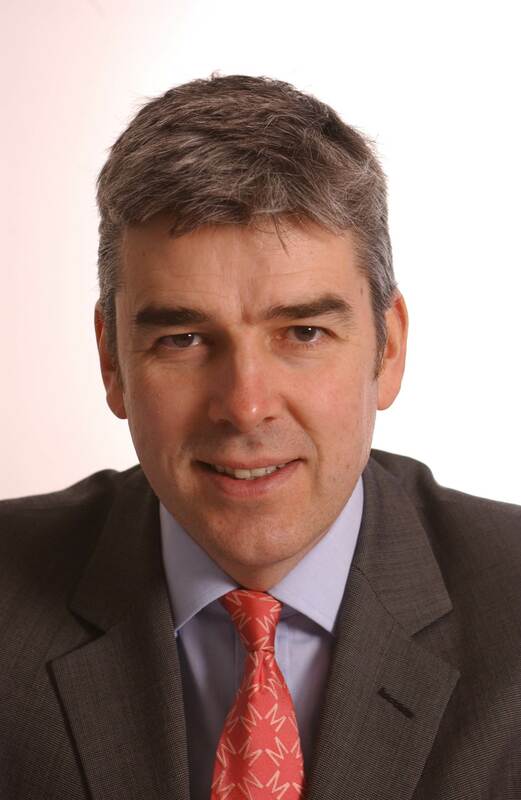 Andrew’s contact with Carers in Hertfordshire dates from June 2005, when he was invited to assist in the design and implementation of a survey of carers in part of Hertfordshire. Subsequently, Andrew played a part in the planning and design of a questionnaire survey within a major consultation of parent-carers throughout Hertfordshire. His caring role continued at varying levels of intensity over an 11 year period until Spring 2016 when, sadly, Mrs Mills passed away. Andrew has been a full member of the Board since September 2008. He was Vice Chair of the Board between 2009 and 2011 and Chair between 2011 and 2015. Andrew is a member of the Finance and General Purposes Sub-Committees of the Board. Andrew says: “It continues to be a real privilege to served Carers in Hertfordshire as a Director/Trustee." Albert retired from his management consultancy business in 2012 to become the full time carer for his wife, who was becoming increasingly ill with Alzheimer’s and latterly Vascular Dementia as well as other complex medical conditions. Albert commenced his career in the photographic industry as a technologist with Kodak. During this time he was responsible for aspects of the quality control and release testing of sensitized goods manufactured products. He joined Photo Trade Processing as a member of the new management team. This was a start-up company in the photographic industry, based in Stevenage. He held successive roles as Chief Chemist, Quality Assurance Manager, Technical Director and Personnel Director. This was followed by six years as Group HR Director of Dixons plc where he was responsible for six divisions located in UK, Europe and the Far East. Albert moved into management consultancy with a major practice before setting up his own company, BeeAgile Ltd, with six other colleagues. He worked in UK, Europe, Near East and USA. Clients included blue chip companies in the private sector, government departments/agencies and local authorities in the public sector as well as major charities in the not for profit sector. In 2007 he was the Individual winner of The Mayor of Stevenage Business in the Community Awards for his involvement in community activities over a 20 year period. This included establishing and acting as Chairman of Stevenage Business Initiative, a new enterprise agency, which contributed to the formation of over 3,000 new businesses. Albert became involved with Carers in Hertfordshire in late 2012 and has since been involved with others in promoting a Dementia Nursing Service across the whole of Hertfordshire. Albert has been a full member of the Board since September 2015. He serves on the Finance, Strategy and Services and Remuneration Sub-Committees of the Board. “It has been a privilege to be on the Board of Directors following my involvement in assisting Carers in Hertfordshire to negotiate a pilot Dementia Carers Support Service project across Hertfordshire. This pilot service has now been established and commenced operations with carers in North & East Herts in late July 2015 and more recently in West Herts. We are now confident that the service will shortly be put on a permanent basis. I look forward to continuing to work with the Trustees and staff in supporting and improving the lives of carers throughout the county”. Santo cares for his 42 year old son who has severe learning disabilities (LD) following an attack of meningitis in 1974. Santo was a Board member on the Board of Governors for Homefield (Greenside) School (ESN(S) and Longfield School (ESN), Stevenage (1976-1979). Santo educated to postgraduate level degrees in engineering and management. He is a Chartered Engineer (1973) and was a professional trainer registered as a Supervising Engineer on the Roll of Index of Institution of Civil Engineers. He worked as a Chartered Municipal Engineer in local government UK for 30 years. He took early retirement in 1993 from Islington Council, London as their District Engineer. For the next four years he was Managing Director of Wolf Mann Consultants Limited and became a management consultant in 1997. His voluntary involvement has included Lions Club (since 1972) - Internationally and locally (Stevenage) and was awarded the Lions highest award “Melvin Jones Fellowship” in 1997; St Johns Ambulance Stevenage - President (1984-2005); Board and Executive member, SoStevenage Partnership Board, Stevenage Borough Council (2008-2009); Carer Representative on the Herts LD Partnership Board; LD Carers Forum; Eastern Region Family Carers Network and National Valuing Family Forum; Expert by Experience Group for SHA, EoE. He was a Board and Executive member of Herts LINks (Healthwatch Steering Board) representing them at local hospitals, PCT boards, and regional Chairs' meetings, Network and Social Forum. Santo has been a Trustee of Carers in Hertfordshire since 1998; Director since 2000 and is currently a member of the General Purposes and Finance Sub-Committees of the Board. In 2014, Santo was nominated by Carers in Hertfordshire for the Comet Community Awards – he had an impressive accolade by winning both Valiant Volunteer and Lifetime Achievement. Mark’s career began as a trader on the floor of the London Stock Exchange in 1986 and he has been involved in stockbroking and the evolution of share trading ever since. His work in the City has ranged from running sales and trading teams with a seat at management committee and board tables. His role has involved developing and maintaining working relationships with a number of large international, institutional investing clients. Much of his working life has seen Mark based in London but he has travelled extensively during his career, including time spent working in New York and Hong Kong during the 1990s. His involvement in charity work to date has been through fundraising efforts for various charities in the form of running one New York and two London marathons. He has also completed two, Three Peaks Challenges: the first was Ben Nevis, Scafell Pike & Snowden within 24 hours; the other being the three Yorkshire peaks in an equally testing 12 hours. Mark comes from a medical family with a father and brother having been GPs and his wife is a Physiotherapist both as a practitioner and university lecturer specialising in care of musculo-skeletal conditions. This proximity to medical professionals has made Mark aware of some of the daily demands in medical care and the longer term challenges faced by chronic patients and the support they often require. Mark was elected to the Board at the 2016 AGM.